Thanks. 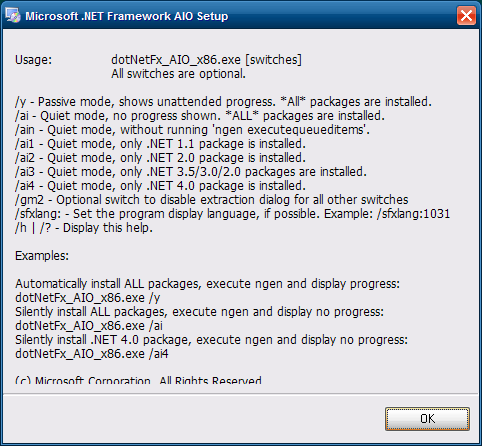 This might be of interest to anyone who only needs .Net to run nLite (it requires .Net v2.0). Last edited by abbodi86 on Sun Jan 27, 2019 6:29 am, edited 1 time in total. It seems that the installer was intended for mass deployment situations when any pop-up interruptions are unwelcome. 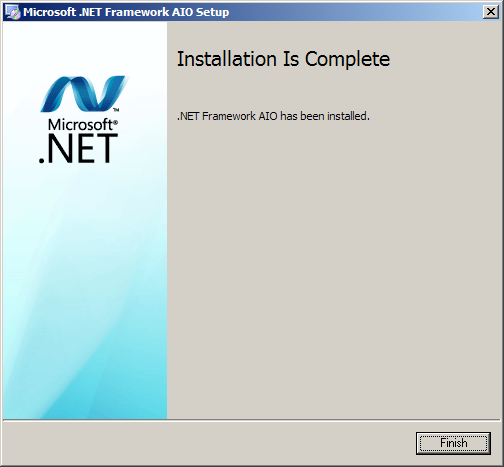 There is no error and everything runs ok if .Net has been installed using the original MS dotnetfx35.exe. I have multiple instances of XP installed on different partitions and Clonezilla partition image back-ups so it's easy to test different configurations. In this case I'm running Windows Embedded POSReady 2009 and not XP, but it shouldn't make any difference. Below is some more information, in case anyone has time to look into this.